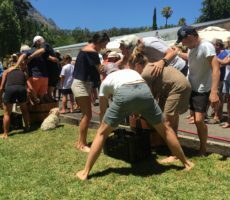 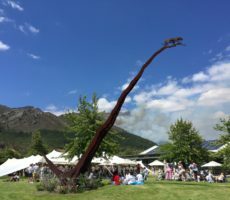 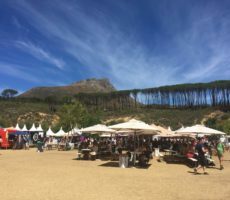 Little more than 24 hours previously, at the Stellenbosch Wine Festival, I had sampled over 30 wines during a very long and hot afternoon. 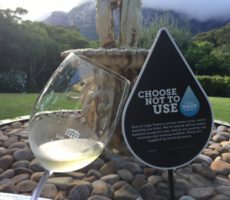 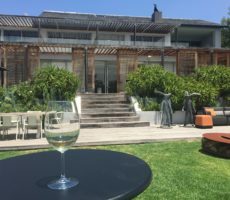 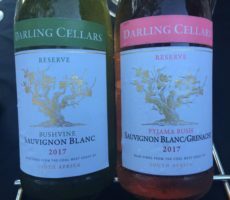 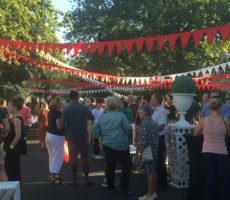 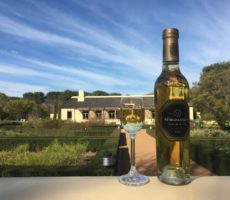 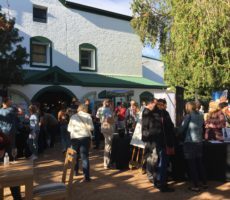 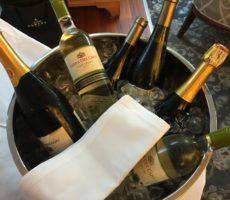 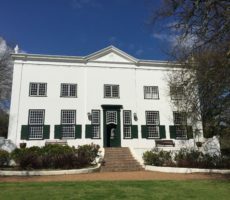 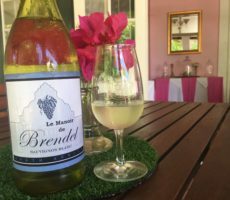 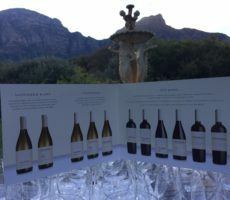 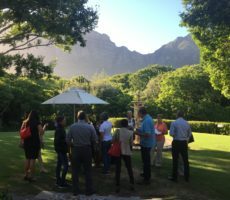 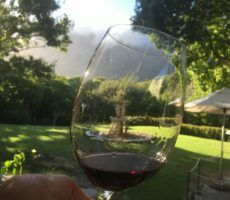 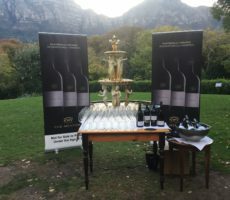 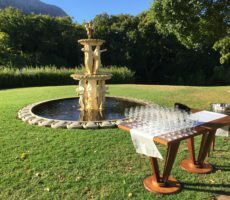 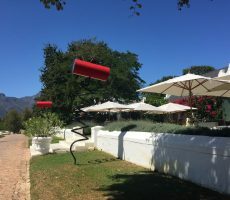 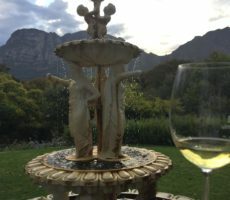 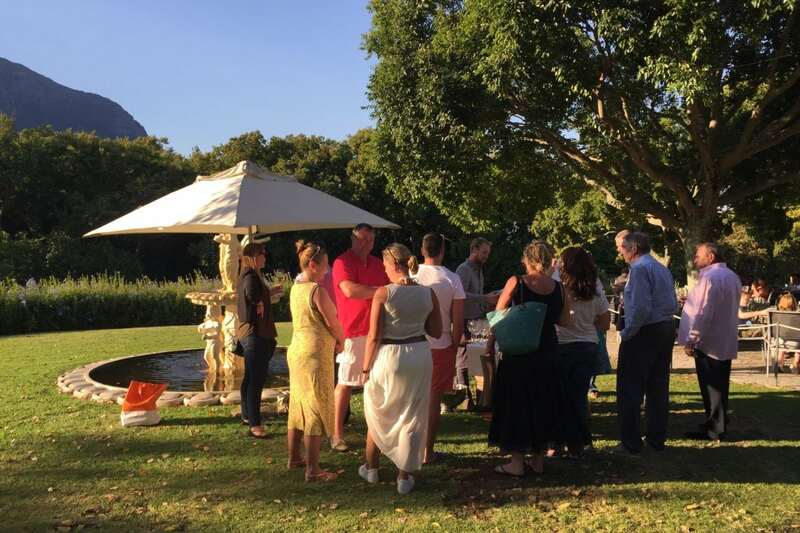 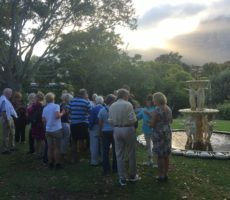 This Monday evening, in the shaded, cultured garden at the Vineyard Hotel, just 4 wines were on offer for tasting from Beyerskloof. 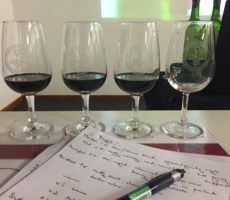 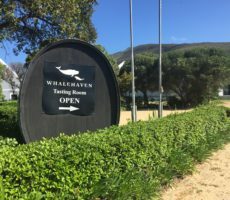 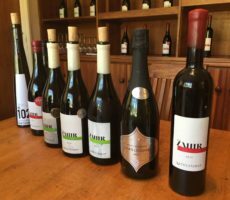 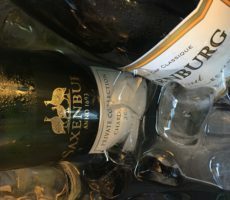 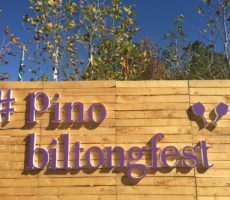 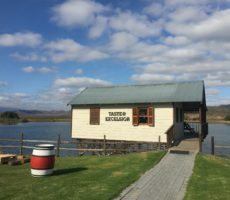 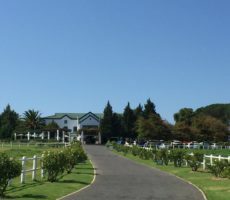 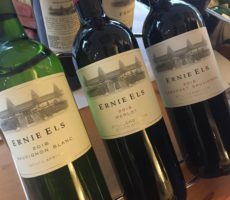 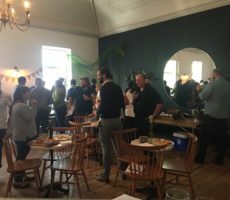 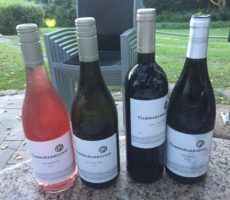 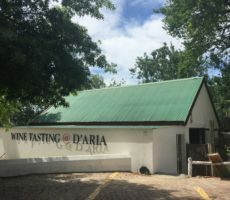 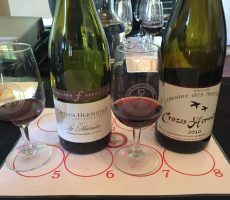 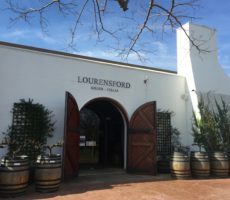 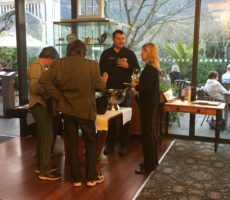 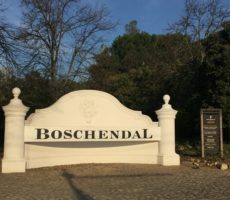 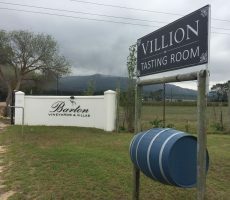 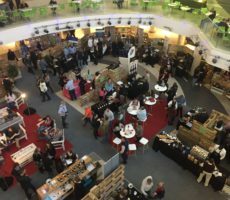 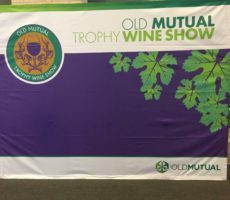 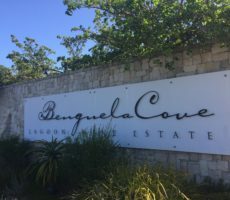 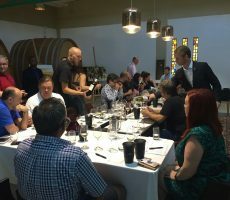 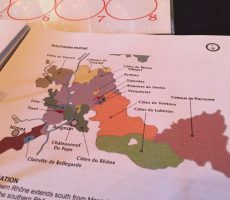 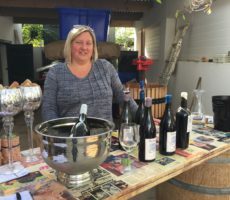 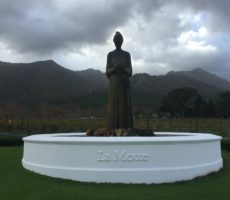 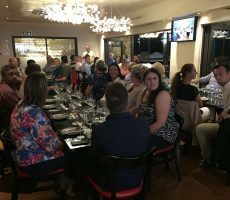 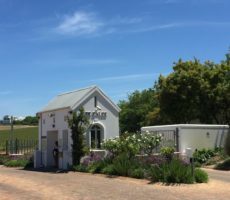 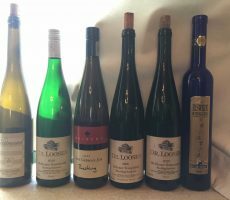 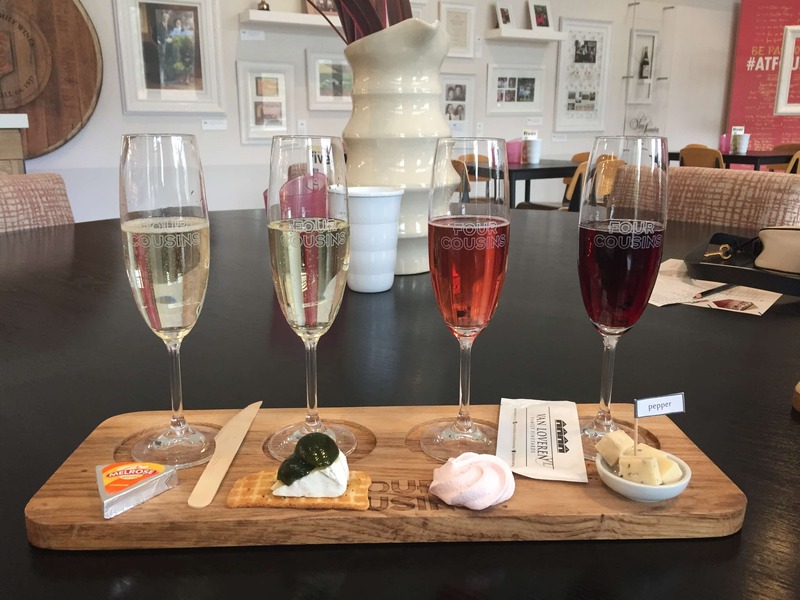 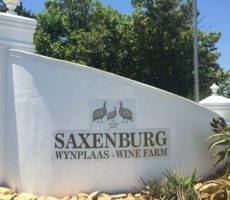 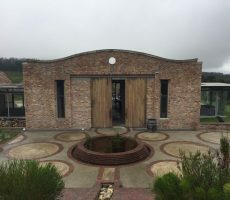 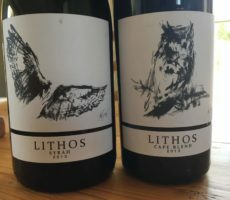 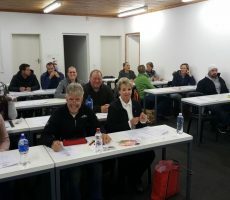 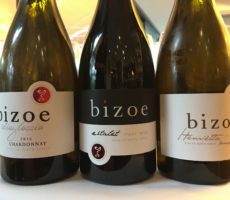 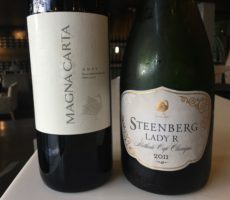 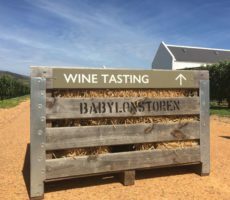 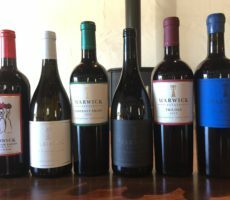 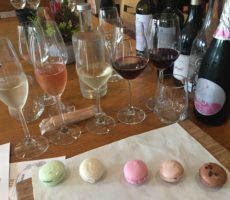 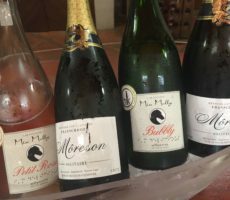 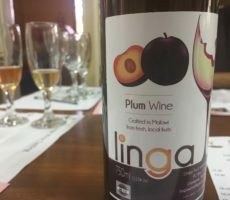 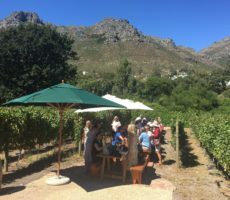 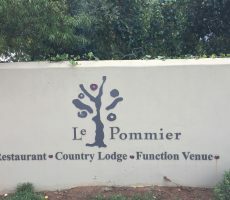 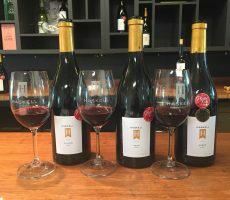 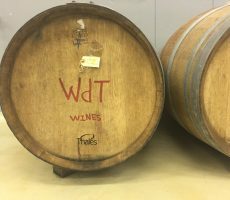 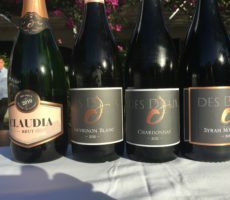 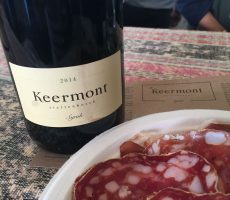 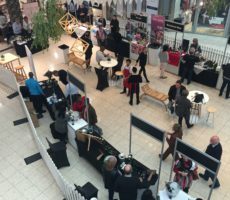 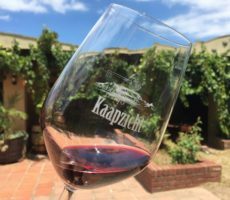 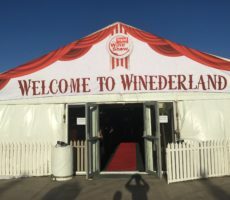 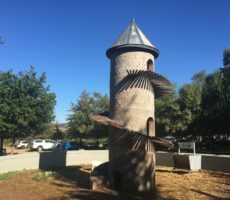 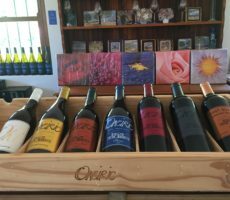 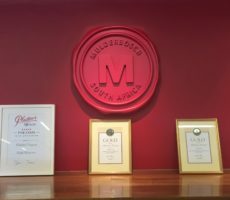 The wines for this informal, mini-tasting were well chosen to show off the Beyerskloof selection, ranging from entry level to flagship: an easy-drinking dry rosé, a single variety Pinotage, and a low and high price Bordeaux blend. 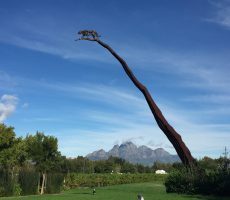 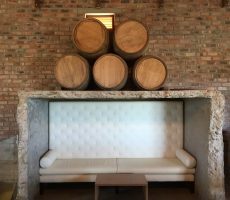 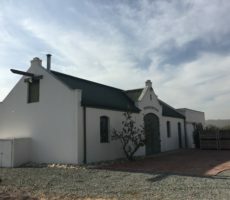 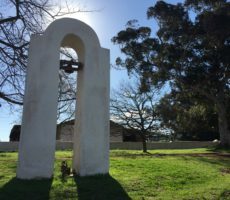 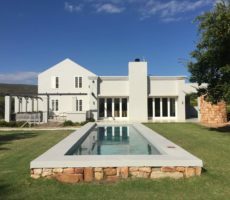 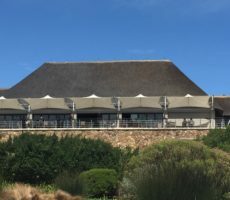 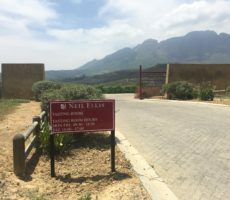 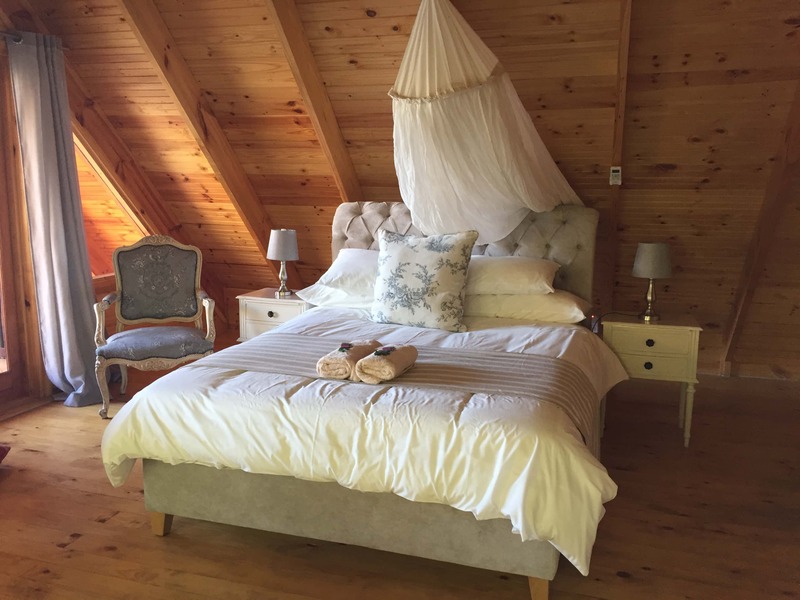 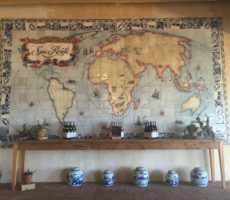 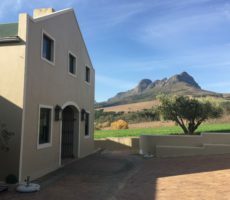 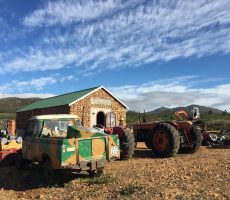 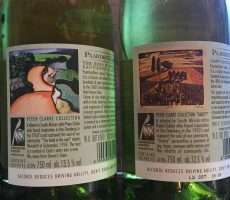 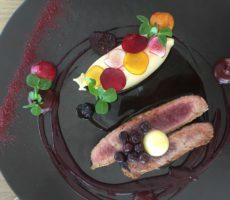 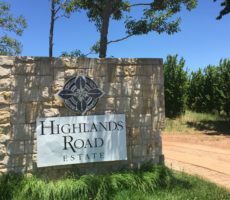 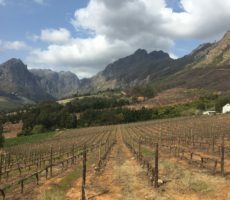 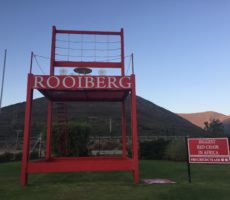 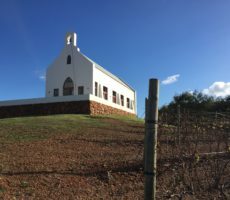 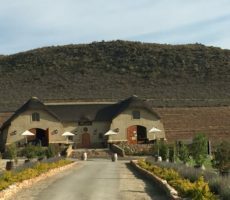 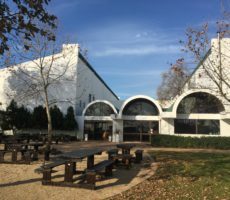 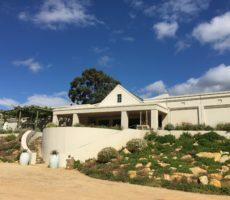 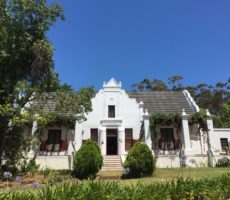 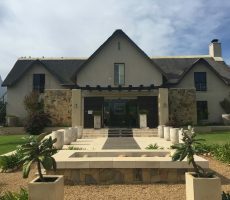 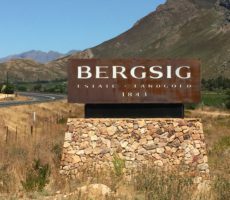 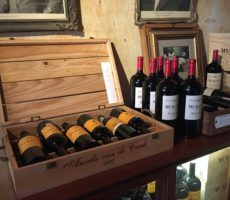 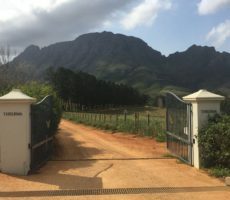 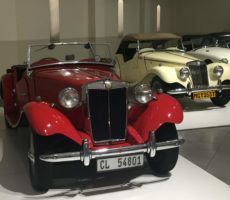 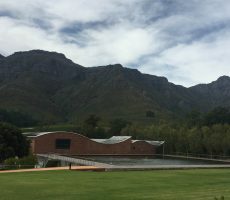 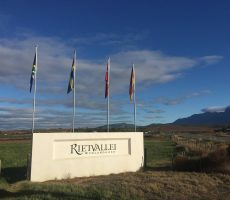 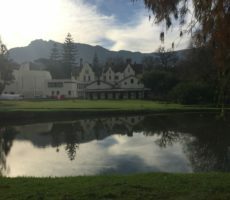 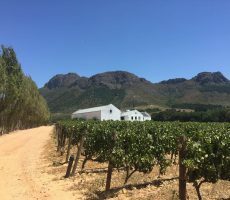 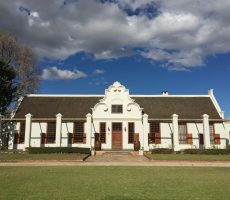 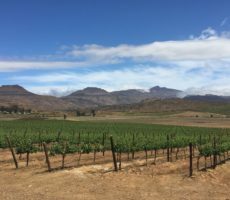 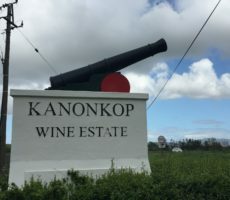 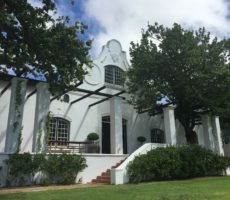 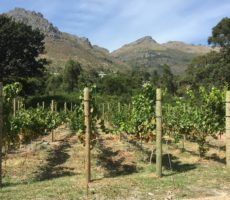 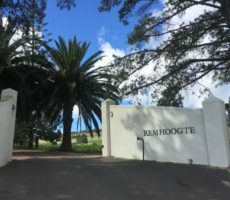 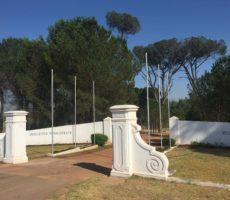 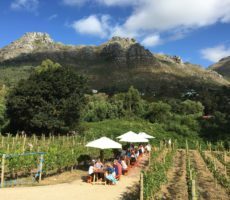 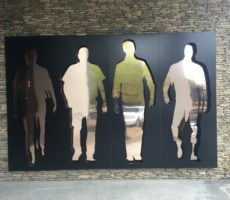 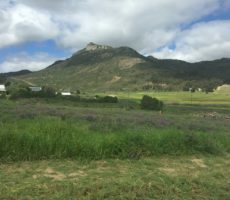 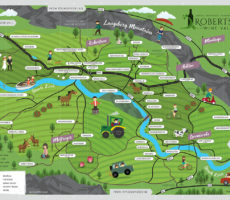 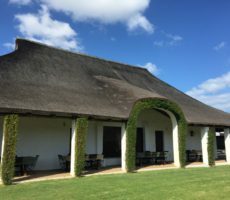 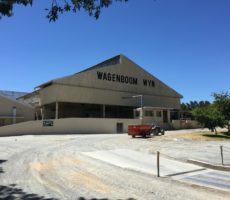 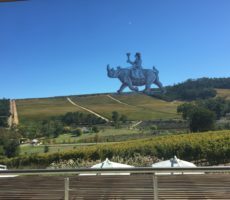 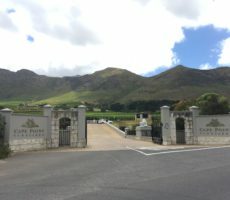 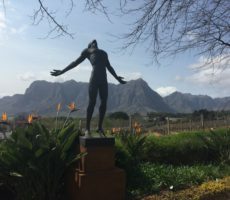 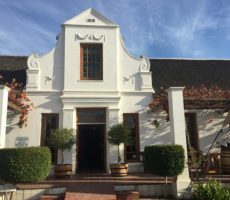 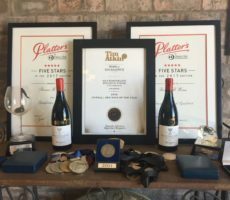 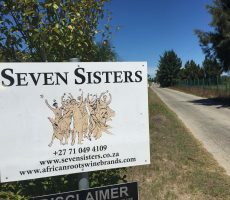 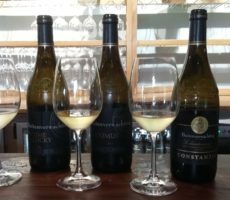 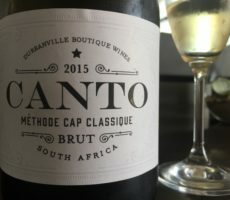 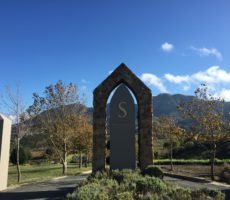 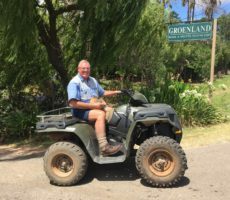 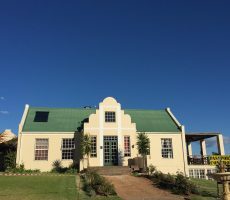 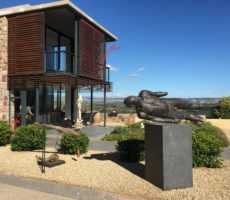 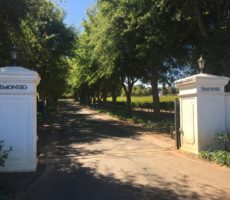 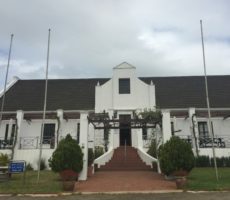 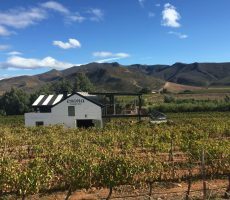 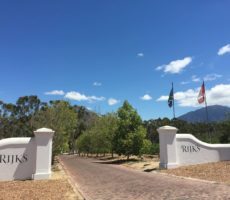 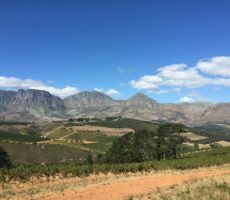 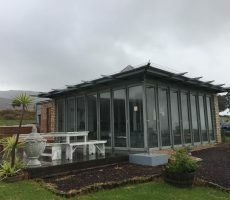 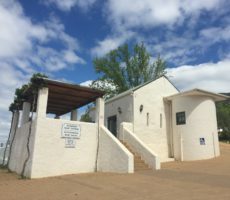 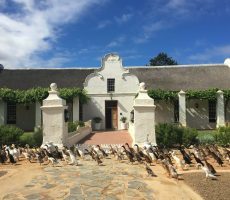 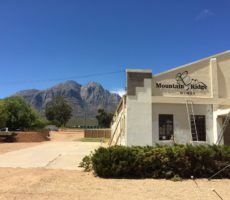 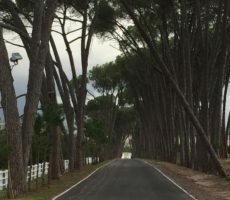 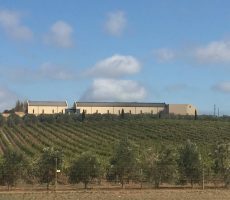 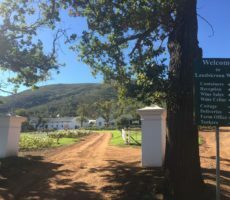 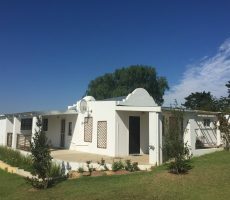 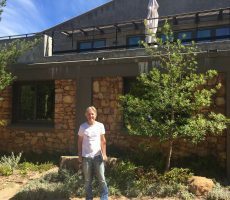 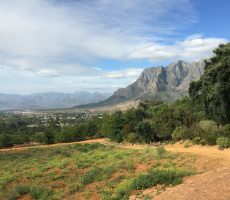 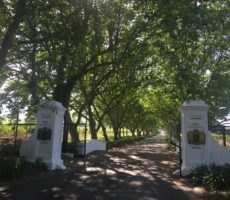 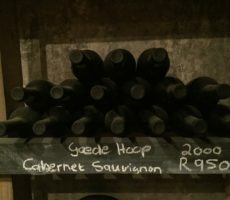 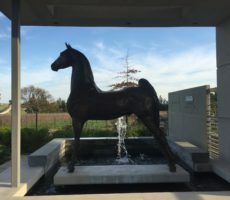 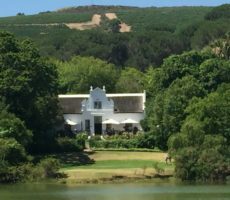 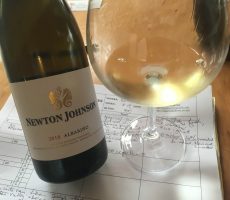 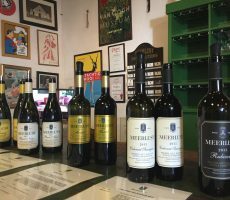 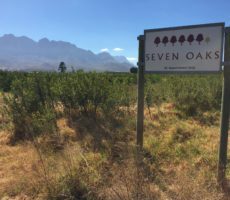 I was surprised to learn that Beyerskloof was bought by Beyers Truter and his Johannesburg business partners only in 1988, given the immense history of the Cape winelands. 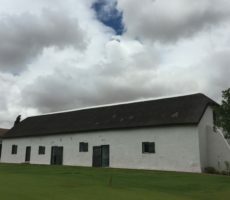 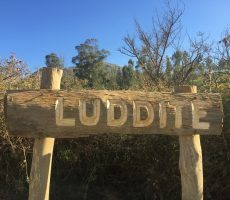 However, I read after that the farm had belonged to his ancestors for five generations until 1895. 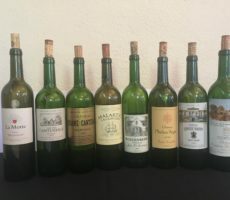 My favourite wine was the premium Field Bordeaux blend. 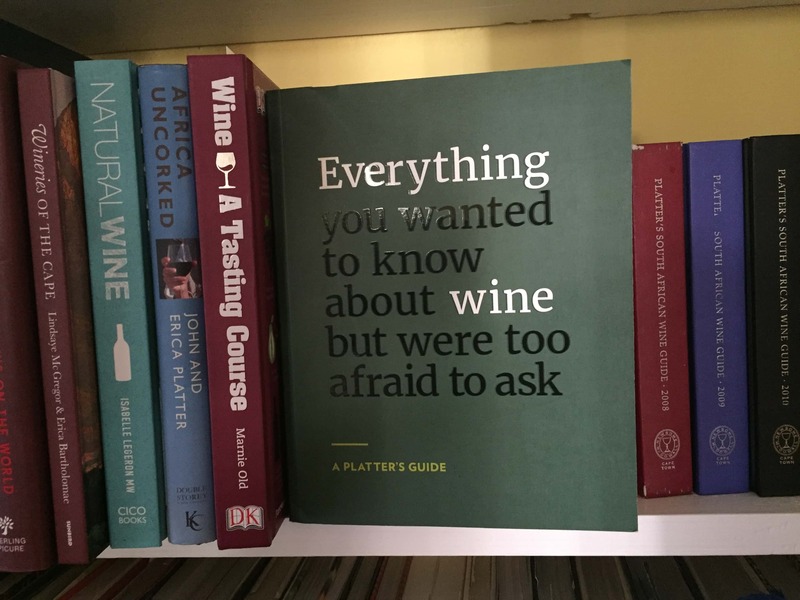 It had all I expected. 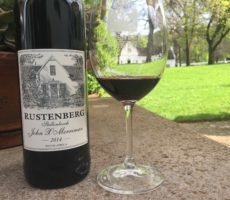 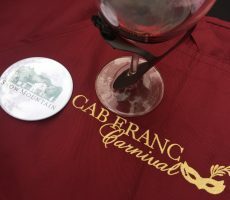 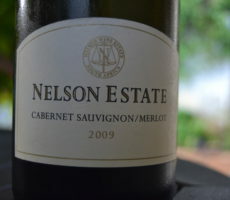 Deep ruby red and full-bodied, the nose was plentiful with dark berry fruits and delicate spiciness. 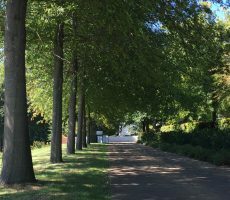 The finish was complex, smooth and long. 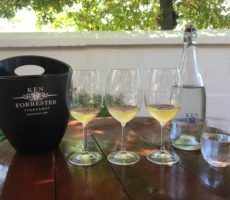 The Vineyard tasting gave me a taste of Beyerskloof. 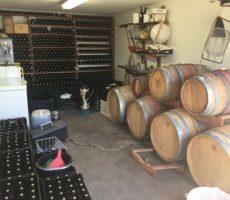 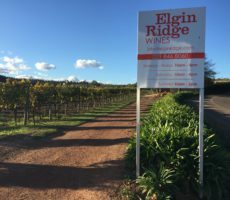 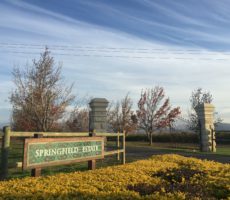 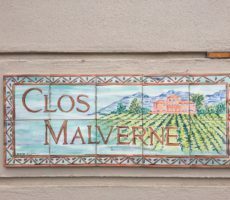 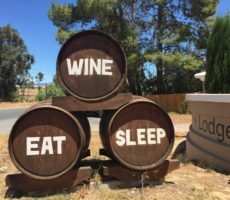 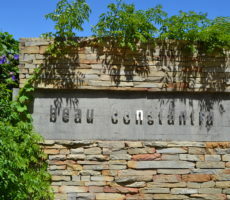 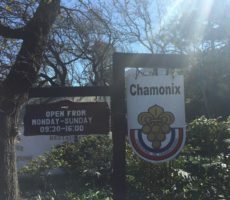 This is another vineyard on my list of places to visit for a full tasting.